Firedance was commissioned by Warwick Castle for one of its celebrated annual fireworks concerts at the Warwick and Leamington Festival. The first performance was given by the Philharmonia Orchestra conducted by Martyn Brabbins on July 1st 2000. Keith Allen, musical director of Birmingham Symphonic Winds, heard the piece at Warwick Castle, and commissioned a new arrangement for BSW’s 10th anniversary concert on 16th November 2002 at the CBSO Centre, Birmingham, when it was conducted by the composer. Firedance starts with jagged rhythms in a minor tonality, and apart from a final accelerando, keeps the same pulse for its near ten-minute span, becoming gradually more celebratory, major-key and melodic. This new version for concert band is dedicated to all members of Birmingham Symphonic Winds with great affection. 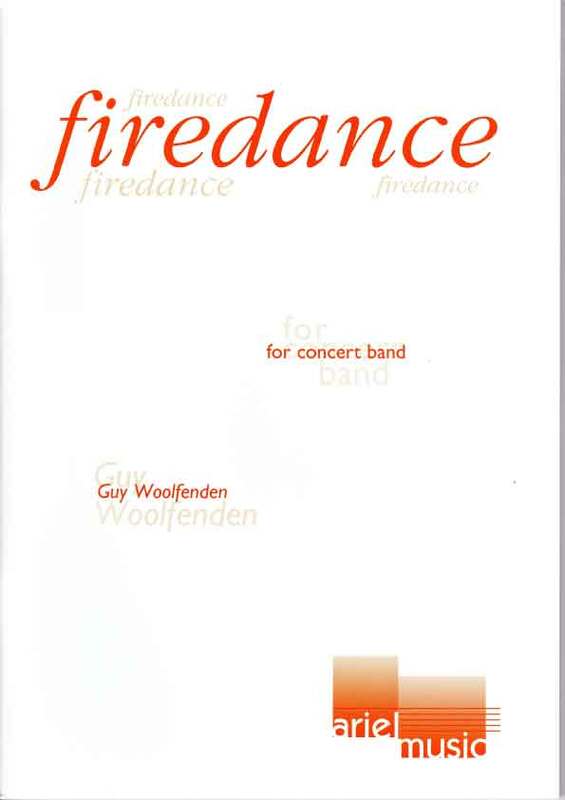 Guy Woolfenden’s Firedance, with its witty, vital writing, provided the perfect premiere for the occasion. Conducted by the composer, it opened with a busy angular texture, beating drums and brass evoking the urgent thrills of a classic Western, before relaxing into quirky dance-like rhythms and pastoralism from woodwind, with a touch of heroism from horns and some glorious tumult.